MainAll NewsAliyah & AbsorptionIranian Jews: Wealthy Hostages? Marking International Human Rights Day, the Knesset Committee on Immigration discussed the situation with Israelis from the Turkish and Iranian Jewish communities in Israel. 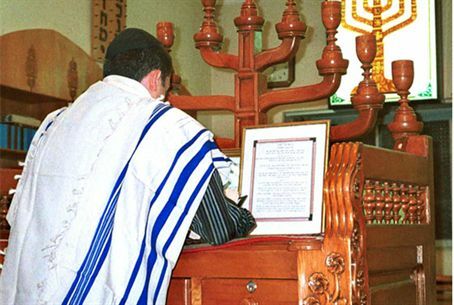 Jews in Iran are free to practice Judaism, and hundreds of Jews gathered in synagogues to light Chanukah candles during the eight-day holiday. The Iranian parliament includes a Jew, who proclaims that “no idiot” would even imagine trying to attack Iran. Despite their respectable standing, there is an undercurrent of fear. After the Iranian Revolution in 1979, an official distinction was made in favor of Jews as opposed to “Zionists,” but Jews have not forgotten that a millionaire Jewish businessman was executed for allegedly spying for Israel. In Turkey, the economic situation for Jews has worsened the past two years, Turkish-Israeli community leader Momo Oz Sinai told the Knesset committee. “Every time [Turkish Prime Minister Recep Tayyip] Erdogan or his ministers attack Israel, Jews see themselves as threatened. Erdogan’s actions create an atmosphere of anti-Semitism and anti-Zionism. He also reported that every Friday, the Muslim Sabbath, anti-Zionist rallies in Istanbul feature placards stating, “Jew: G-d tells you not to murder.” He also said that a weekly ritual is to burn Israel flags in mosques and in the center of the city.